A number of track pieces have now been installed. A closer look as the lift hill begins to take shape. 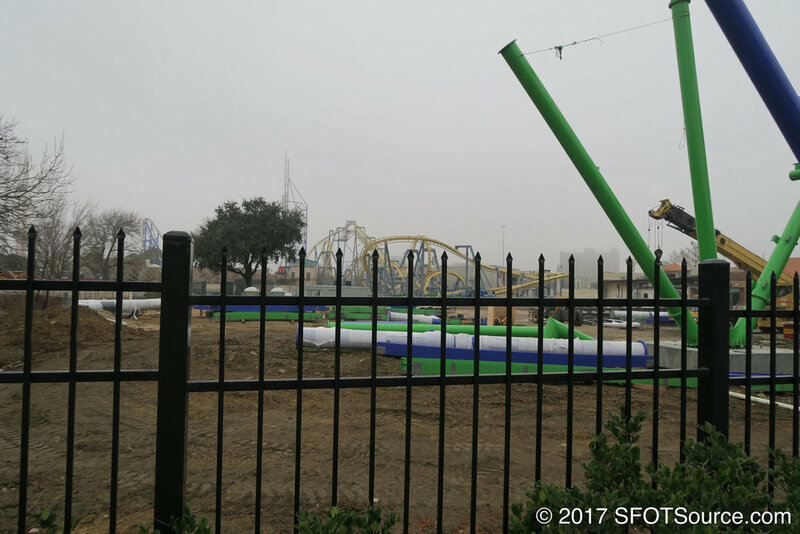 Many track pieces still await installation on the far end of the ride. A look at more pieces as they await installation. Another angle of the current progress. Crews still have a ways to go with track and supports. Cars have made their way to the construction site. More work continues on the old shopping strip at the edge of the property.